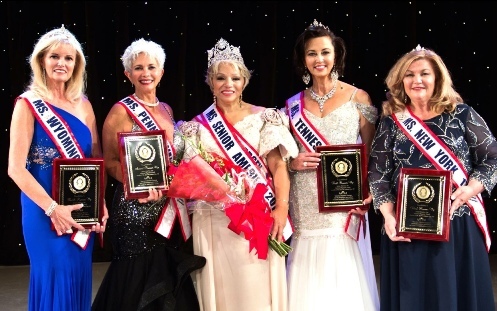 CONGRATULATIONS to CAROLYN M. HARDEN, Ms. Senior America 2017! A special thanks to our committed and dedicated State Director Johanne Santori, for her help, guidance and encouragement! Carolyn Slade Harden (a.k.a. Carol Slade) was born in Newark, NJ where she graduated from Arts High School, the first public high school in the United States specializing in the visual and performing arts. There, she studied opera and performed leading roles in Madame Butterfly, Carmen, Aida, Faust, and appeared on PBS-Channel 13. Carolyn received a B.S. Degree in Management Science, with a major in Finance; and a Collateral Program in Training and Development, from Kean University. Her extensive business resume includes more than 40 years of experience in corporate and higher education management. She also specializes in integrating systems with business practices and held management positions with Coopers & Lybrand and Seton Hall University. She is the founder and president of OfficeXperts, LLC. ; and created the Harden Institute for Financial Independence which concentrates on educating youth in financial management. She is currently certified as a Quickbooks ProAdvisor. Carolyn also earned credits towards a B.A. Degree in Applied Music; major in voice, minor in piano, at Seton Hall University. Her musical resume includes experience as a professional recording artist, solo performer, musical producer, and choral director. Carolyn sang with Dionne Warwick, Dee Dee Warwick, and Cissy Houston in the gospel group, the Gospelaires and the Drinkard Ensemble. She was also a part of a New York City area session singing team for writers such as Burt Bacharach and Hal David; and, supplied background vocals for artists such as the Drifters, Solomon Burke, and Garnet Mimms. Carolyn made three records which topped the charts in various cities in the U.S. She debuted with �I Saw You With My Best Friend� and �Eavesdropping� released on the Domino label in 1962. Her next single, �I Wanna Know Right Now,� also topped the charts in 1963. She appeared on the popular television show American Bandstand, the Apollo Theater in New York, and various venues throughout the U.S. As a Choral Director, she directed the Children's Choir at the New Hope Baptist Church in Newark, N.J. (where she conducted Whitney Houston in her first solo performance), the Children�s and Youth Choirs at Bethany Baptist Church in Newark, N.J. the Seton Hall University Gospel Choir in South Orange, N.J.; and the Renaissance Adult Community Chorus in Manchester, N.J. She is currently active as a singer and actress in the Renaissance Performing Arts Club (PAC) and several community bands. 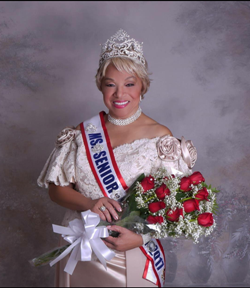 In 2017, Carolyn won the crown of Ms. New Jersey Senior America, and has received awards from the City of Newark for her humanitarian initiatives, contributions toward the enrichment of inspirational music and Christian values, her musical talent, and unfailing service and ministry to community and church. Carolyn was married to the late Arthur Harden, Jr. for 51 years. They were blessed with a daughter and son who are also successful entrepreneurs. She is proud too of her granddaughter, grandson, and great-granddaughter. Carolyn is an integral part of the Foster-Wiley Reunion and has family in 34 states. She loves spending quality time with all her family and friends.